GLU (God Loves U) is all about introducing children to the God who loves them and about developing their relationship with Him. It is part of the Children’s ministry of Downpatrick Presbyterian church and meets during the morning service each Sunday. Children spend the first part of the service worshiping together with the rest of the church family. After the children’s talk, they go to GLU, which takes place in the Church Hall and consists of faith building activities, encouraging a love for Jesus. It is for children of Primary school age and is led by a team of dedicated leaders on a rota system. 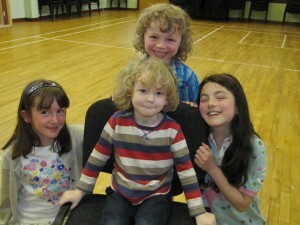 Activities include bible story telling, acting, singing, games, craft, art and anything fun. Crèche facilities for younger children are available from the start of each service. 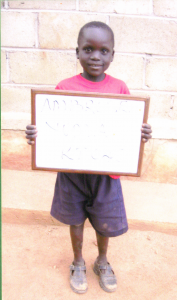 The children’s organisations sponsor a child with Fields of Life, a Christian Charity. He lives in Uganda and is called Ambrose Yuma. Ambrose sends us letters, pictures and photos regularly. We sometimes write back to him. This is a great way to learn about helping others and about the wider work of Christians.